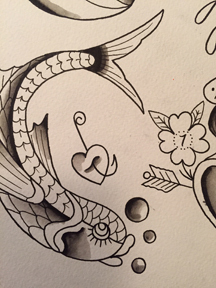 Valentine's Day/Friday The 13th — Jersey City Tattoo Co.
For 2 days, Feb 13 and 14, the staff of JCTC will be tattooing design from our hand painted sheets for a mere $50. This has been a tradition at the shop since 2007 , intended to be a thank you to our clients , as well as an opportunity for us to do some fun tattoos... Our designs are bigger and cooler than what you would usually see offered, so space is limited, first come first serve . Hope to see you there!